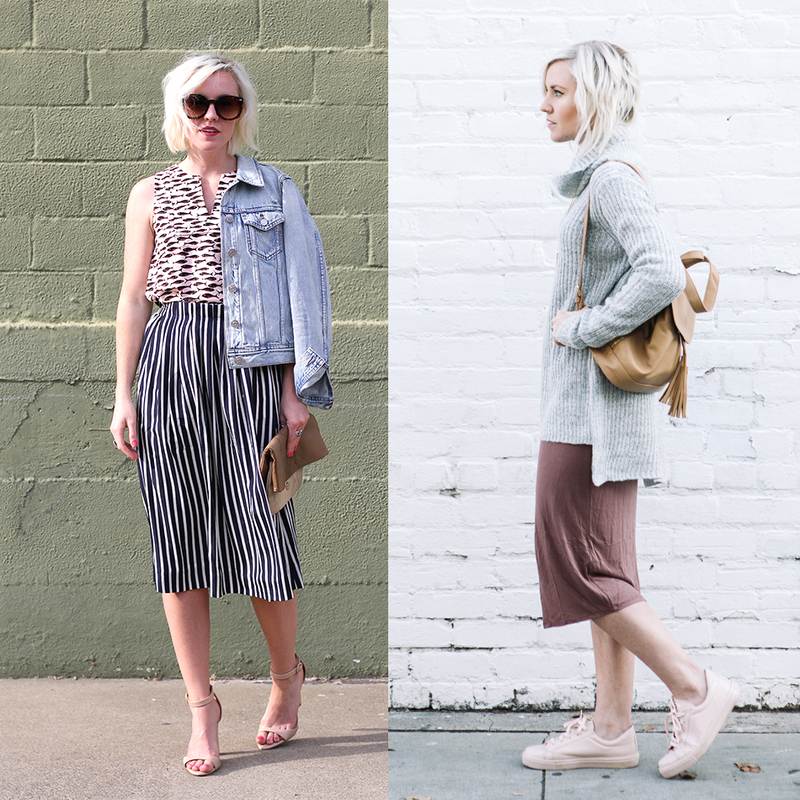 I just finished reading Manrepellers article “Why Are We All Dressing Like the Most Pared Down Versions of Ourselves?” At first, I was like “Ya right on! WTF is everything so boring lately? This is the last thing we need during the boring colorless winter!” As I started writing about it, I was able to piece together my thoughts. I’ve noticed my style has slowly started changing over the past 9 months. I mean, I LOVED to wear color. Hell the name of this blog is, COLOUR Me Classic. How did we go from rocking our stilettos to trading them out Adidas SuperStars? In a way, I think why we’re all enjoying this new “season” of style. Due to the fact that I think we simply wore ourselves out. We had re-mixed every garment of floral, stripes, fur, neon and sequins together until it’s death. Well atleast some of us, myself included. It’s a breathe of fresh air and my lord it’s MUCH easier to do. I’m sure I’ll read this in 2 years when I’m wearing peacock feathers on my head again and laugh. But the point here is, trends are often a reaction to a bigger societal movement. If we never had new movements, I argue we’d begin to feel static? So why do we hate them so much? No one is forcing us to follow them? With the awakening of movements like, “fast fashion“, “the capsule wardrobe” and “KonMari Method“, this new norm core style makes total sense. It’s unassuming and not in your face. It has utility on the forefront with form on the back burner. It’s also a response to getting back to what matters…life. Sure, It’s fun to pick out a crazy outfit every now and again. We do live super fast paced lives and man that can get tiring. We’re sick of our “stuff” ruling our lives. Isn’t it nice to look into your closet and not see a monster but rather a simplified, easy to manage area? For now the word “color” has a new meaning to me, as I enjoy painting “mural like” backgrounds of my photos. If you haven’t seen the series yet, check my Instagram account or follow the hashtag #cmcpaints. How do you feel about normcore? Are you bored in the season of fashion? What other ways can we make a statement besides our clothing? I love your simple and elegant style!! Gorgeous sweater!! I had a conversation with a friend yesterday about routines and habits, and it made me think about the book Daily Rituals: How Artists Work, and how so many artists have daily routines that they stick too pretty hard. I’m sure it has a lot to do with the idea of not needing to make decisions in your daily life, so you can make the important decisions in your creative life. You allow yourself regimens in your daily life, so you can express creatively elsewhere. Save your decision making muscle for the important decisions, and not needing to think too hard about what to wear that day! Since this is a thing for lots of people now, I wonder if those people are experiencing more self expression elsewhere? Since fashion can largely be a form of expression, is expression in that person moving elsewhere since there is a “uniform” outfit of neutrals now (and holy heck, I had no idea that it was called Normcore)? Or is it just the desire to conform?